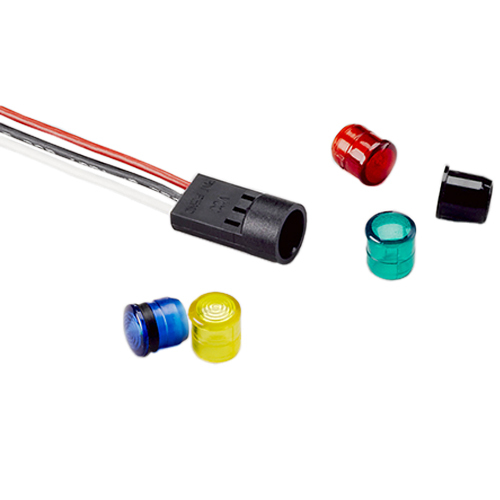 The CNX D series cable assemblies make quick and easy plug-in connections between panel mounted T-1 ¾ bi-lead or tri-lead LEDs with lenses and a power source. 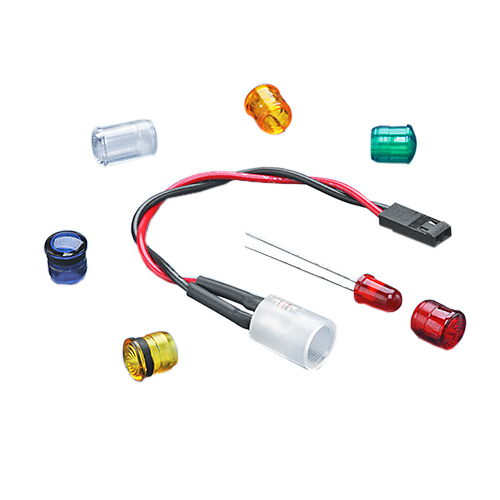 Options include a broad selection of LEDs, choices of wire size, length and color, and a variety of wire terminations. The CNX D series is connected to the panel when coupled with a a CMC, CMS, or CML series press-fit lens. 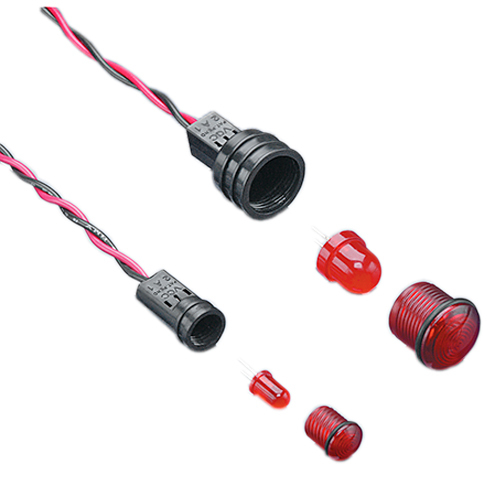 The CNX 410 series cable assemblies make quick and easy plug-in connections between panel mounted LEDs with lenses and a power source. 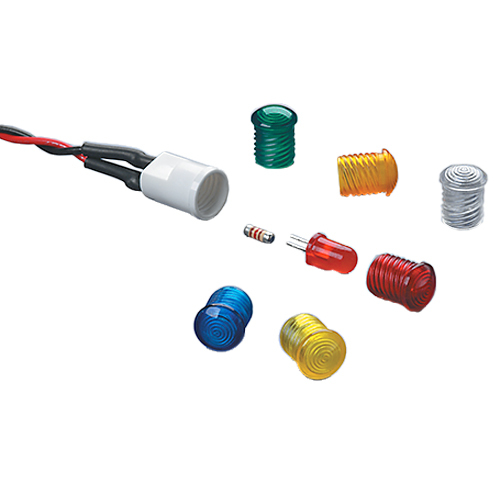 Options include a broad selection of LEDs, choices of wire size, length and color, and a variety of wire terminations. With and integrated resistor, the CNX 410 series can be used on circuits from 3 to 28 volts. The CNX 410 series is connected to the panel when coupled with a VCC threaded lens, and the series has been tested for UV, solar, shock, vibration and temperature cycling. Sealed version exceeds NEMA 4 for dust, water and ice.